Posted on July 16, 2012 by Michelle M.
Cooper and Dewey are a little too excited about the new season of Breaking Bad. 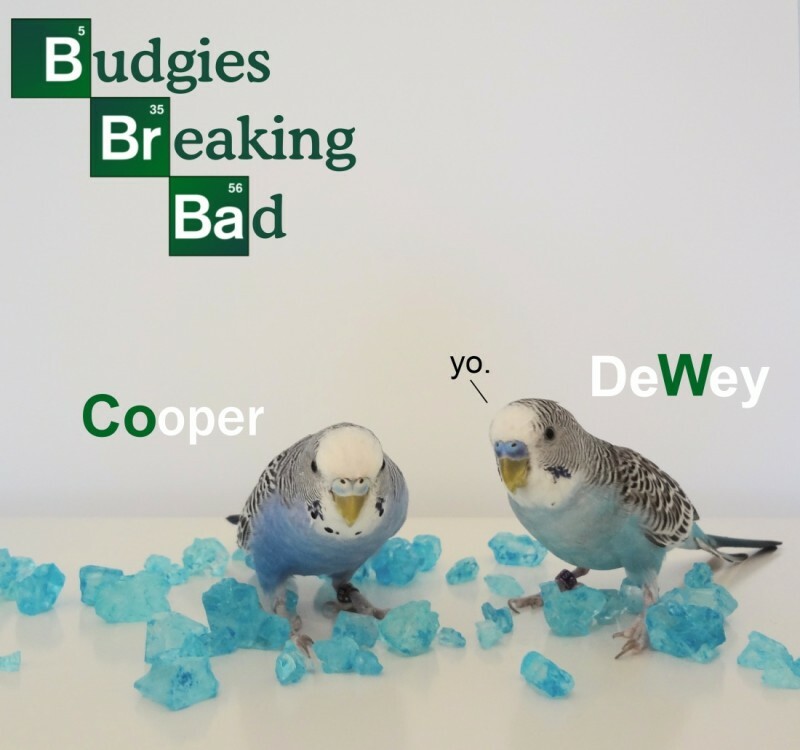 This entry was posted in Starring Roles and tagged Breaking Bad, Breaking Bad Budgies, budgie, Cooper, Dewey, parakeet, Starring Roles by Michelle M.. Bookmark the permalink. I love it. Cooper looks very Heisenberg-esque. Well, they have to find some way to provide for their family. Hmmm. We’re not sure why it’s not showing up for some people. We’re (and by “we’re”, I mean “Harry”) are looking into it. Now I can see thew picture! Cute budgies!